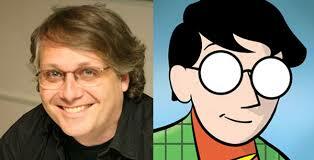 Today we’re going to be looking at the work of one of the most important figures in comic book history: Scott McCloud. As with most of the Friday posts it’s going to a short one, although this post will probably be longer than most since it’s going to be more of a review than a showcase. 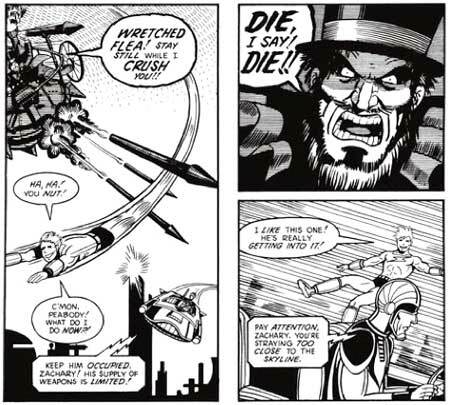 Mr. McCloud’s first widely published work was a lighthearted sci fi action series called Zot! in 1984. 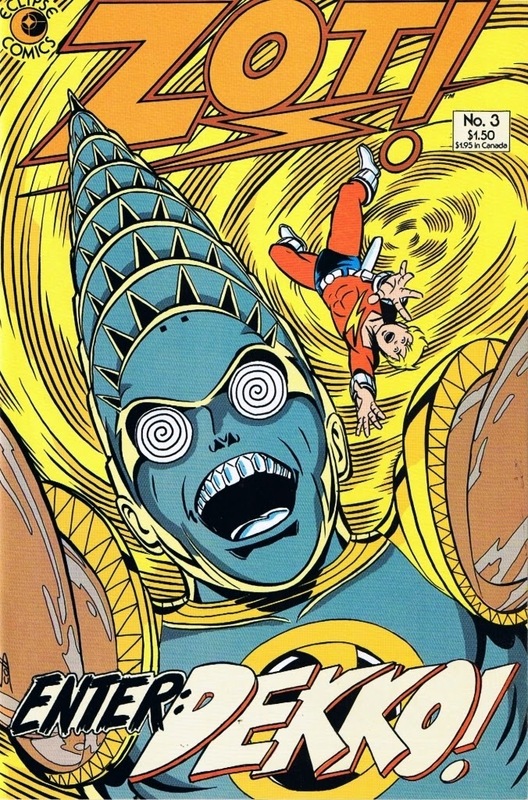 It was a fun comic book series that hearkened back to the days of light and whimsical Golden Age science fiction and really helped showcase a very clean and linear style. Here are some pages from that work. But if you know anything about comic books published in the last couple of decades than you probably know that Mr. McCloud isn’t famous for the stories he created. Mr. McCloud has left his mark on the comic book industry through his work behind the scenes (he helped develop the comic book Creator’s Bill of Rights which is important because the industry as a whole hasn’t had the best track record on supporting their creators) and as the producer of a little project called 24 hour comics, where he challenges anyone to create a completed 24 page comic in 24 hours or less. 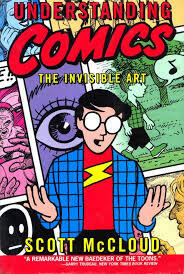 But his most famous and most important work has been as a comic book philosopher and theorist which manifested as the absolutely amazing book Understanding Comics in 1993. For anyone who is even remotely interested in creating comics or has an interest in comics as an art form this is the closest thing to holy writ you will ever find. 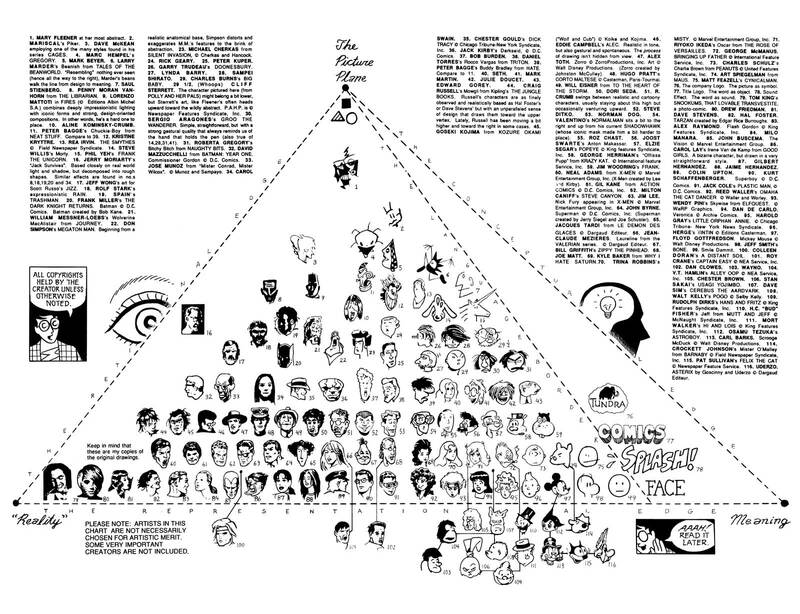 I’m not going too deep into what the book talks about because we’d be here all day but suffice it to say Mr. McCloud talks about everything from how images can manipulate the reader’s mind and viewpoint of the comic. 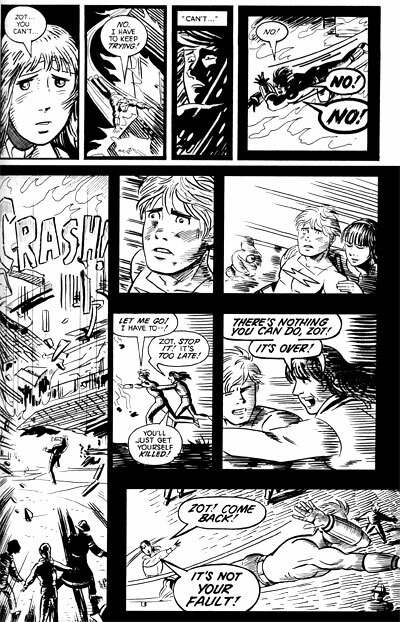 To the importance of the space in between the comic panels and their role in servicing the story. But Understanding Comics, along with its two follow up novels Reinventing Comics and Making Comics will stand the test of time and remain some of his most lasting and endearing work. 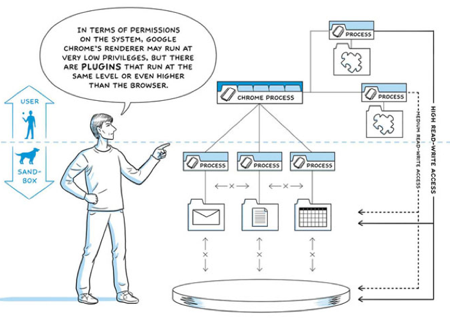 This entry was posted in Blog and tagged comics, Google Chrome, scott mccloud, showcase, Understanding Comics. Bookmark the permalink.